When you call the mold removal North Riverdale pros at 911 Restoration of Riverdale you can trust that we will do whatever it takes to conduct the most thorough mold mitigation. As overwhelming as it can feel to be faced with mold in your home, knowing that our mold removal North Riverdale unit will arrive within 45 minutes will help you breathe a sigh of relief. Our IICRC certified is licensed, bonded and insured to handle any type of infestation thrown our way, including severe fungal infestations. We want to be able to assist you as quickly as possible in these situations, so when you call our water damage North Riverdale members, we will arrive as soon as we can to provide you a free home inspection, so call us today! Even though most homeowners are concerned with how mold makes their homes look, the main concern of our mold removal North Riverdale techs are more concerned with how it impacts your help. Our water damage North Riverdale experts are qualified to thoroughly remove all instances of mold from your household, which will help make it a healthy living environment. We want you to know that prolonged spore inhalation can cause people to experience symptoms similar to allergies and respiratory issues. These health problems way include headaches, coughing, sneezing, wheezing, itchy eyes, skin rashes, and sinus problems. Call our water damage North Riverdale team as soon as begin noticing any of these issues and we will do whatever it takes to decontaminate the area and make it the ideal environment for you and your family.. When it comes to helping homeowners with a flooded homes, our mold removal North Riverdale staff will do whatever they can to make you feel comfortable again. Our water damage North Riverdale technicians place a big emphasis on customer service, including filing your insurance claim for you on your behalf. We want to help you with every aspect of the mitigation process, and our mold removal North Riverdale agents will guide you through all the steps, ensuring your provider gets all the information they need. 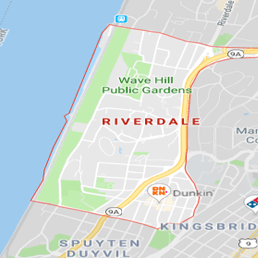 Call our water damage North Riverdale specialists at 911 Restoration of Riverdale when you need the best assistance in the area and we will give you a fresh start before you know it.